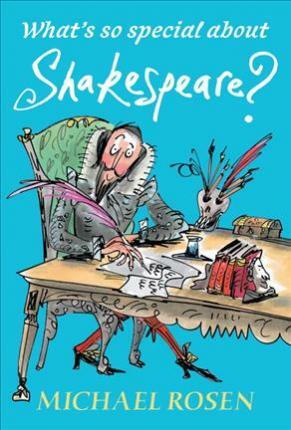 Michael Rosen's lively exploration of Shakespeare, reissued in an accessible new format for young middle-grade readers. More than four hundred years after William Shakespeare's death, his name is known in every corner of the world. Why? Celebrated poet, critic, and Shakespeare enthusiast Michael Rosen answers that question with humor, knowledge, and appreciation, offering a whirlwind tour of Shakespeare's life, his London, and four of his plays: A Midsummer Night's Dream, Macbeth, King Lear, and The Tempest. Michael Rosen received the Eleanor Farjeon Award for services to children's literature in 1997 and served as the British Children's Laureate between 2007 and 2009. His books include the worldwide bestseller We're Going on a Bear Hunt, the award-winning Michael Rosen's Sad Book, and What's So Special About Shakespeare? He lives in London.